When I was a small child, I read a very short story called “Spare Moments” from a book called “Stories Worth Rereading.” I have always remembered it, and it has dramatically impacted my life. This means that every increment of time is valuable, and I must redeem it. I can accomplish something significant in a space of 5-10 minutes if I am just willing to try. 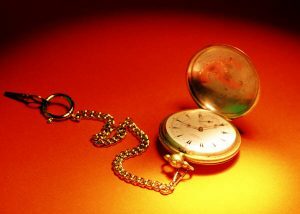 The habit of using every spare moment well distinguishes people who fully reach their destiny from those who never do. I try to carry a book with me everywhere I go, so I can read while waiting for things. Those 45 minutes I sat waiting in the doctor’s office the other day? I read 30% of a book that’s been on my reading list. Otherwise, that time would have been wasted. I carry notepaper and a pen with me everywhere I go, so I can write down ideas the moment they come to me. That way, when I need the ideas, I don’t waste time brainstorming and writing them down again. I rarely watch TV. Instead, I come home at night and eat dinner with my husband. Then I get to work on what matters, instead of turning over my mind to NBC, CBS, or Fox. To me, even going to sleep early is “working on what matters.” TV is not. Not only is my life more productive because I skip TV, but my mind is also cleaner and more rested. Do I need to write a blog post? I can draft a rough outline in 5-10 minutes during my lunch hour. Do I need to pay a bill? I can do it in less than 5 minutes. Do I need to clean the kitchen? I can put the dishes in the dishwasher in the 5 minutes I have now, and I can sweep in the 5 minutes I will have later tonight. So basically, by being purposeful about redeeming every spare moment, I am steering my life in the direction God and I want it to go. It pleases the Father and helps us to be aware of His presence when we carefully steward His gift of time. How can you redeem your spare moments? Think about the tasks and goals ahead of you this week, month, and year, and write down 2-3 ways you can start using even your tiniest increments of time. I guarantee that you will experience a radical increase in your productivity, energy, and motivation by using all your spare moments. Where are your spare moments going? What could you do to harness them?